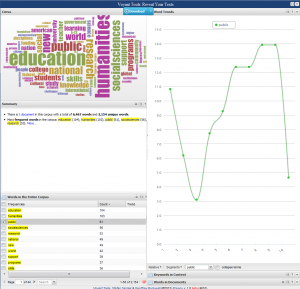 Finds collocates for words and displays links between them using a force directed graph. It shows term frequencies in proximity to keyword. 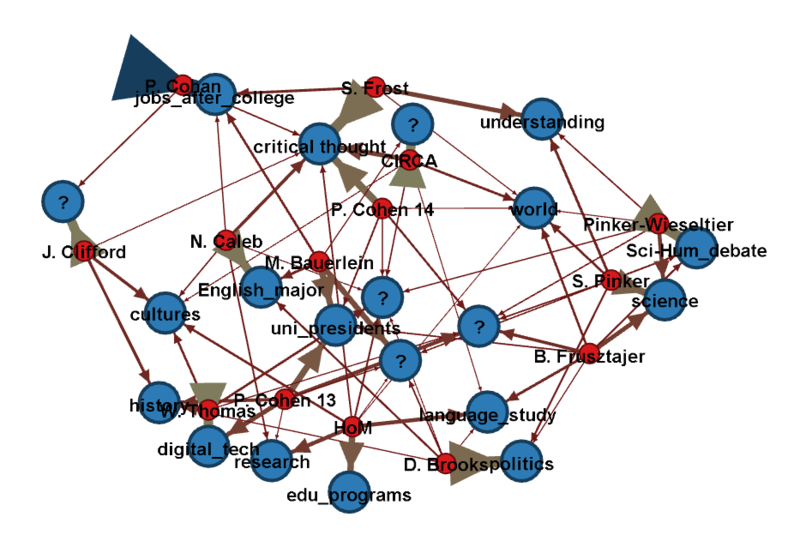 It is a visualization and shows a web of terms. 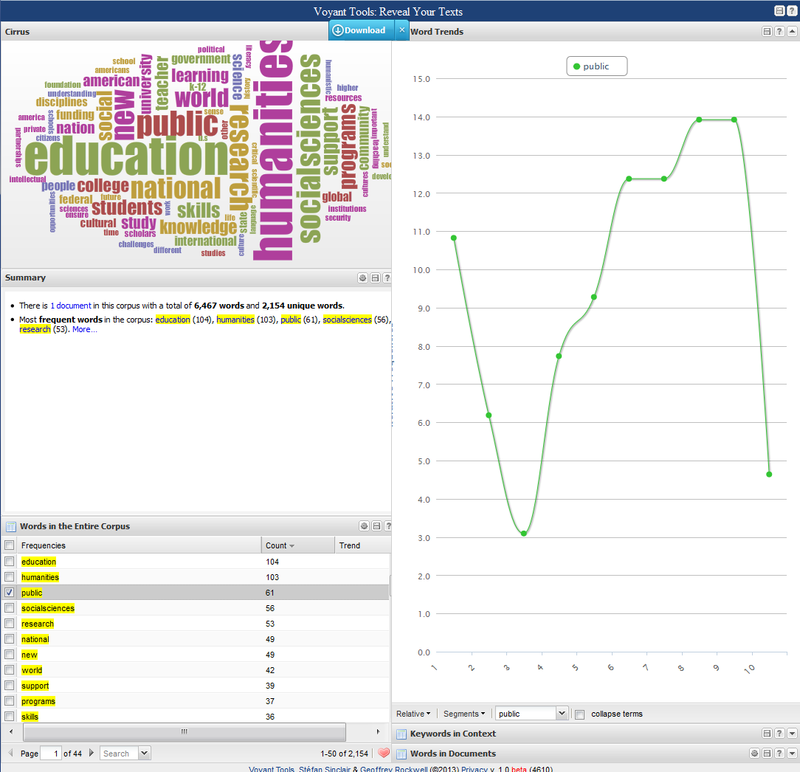 Reads the words in a document (or corpus) and displays the highest frequency words within proportionately large bubbles.